RIGHTS - Minister Delegate for European Affairs, George Ciamba, on Friday had a phone conversation with the Minister of State for Europe and the Americas, Sir Alan Duncan, at the request of the latter. Sir Alan Duncan has given assurances that, irrespective of the Brexit outcome, the rights of the Romanian citizens in the UK will be respected. Over 400 thousand Romanians are currently in the UK, the second largest foreign community in the country. Sir Alan Duncan has also said that PM Theresa May wants a proper approach that should allow for a sustainable solution in the relation between the UK and the EU. In his turn, Minister Delegate George Ciamba has said that Romania, holding the six-month presidency of the Council of the EU is discussing with the other member sates and the European institutions, being ready to ensure the conditions for dialogue as soon as there is an official position of the British government. We remind you that this week the House of Commons rejected the Brexit accord negotiated with the EU. PM Theresa May is expected to come up with a new plan. NATO – NATO Secretary General Jens Stoltenberg has confirmed his presence at the informal meeting of the EU defense ministers to be held in Bucharest on January 30 and 31. The announcement was made by the Romanian Defense Minister Gabriel Les, according to whom the meeting will be held in the presence of the High EU Representative for Foreign Affairs and Security Policy, Federica Mogherini. Gabriel Les has also said that the informal meeting is the first ministerial event organized by Romania since its taking over, on January 1st, of the presidency of the Council of the EU. The event aims to be a common reflection and exchange of opinions on the consolidation of the European project, with an emphasis on security and defense. CENTRAL BANK – The National Bank of Romania (BNR) says there is no reason for concern about the depreciation of the domestic currency, the leu, reported lately. After being on the decrease for a number of days, the leu ended the week at a record low level as against the euro, getting closer to 4.7 lei for 1 euro. According to BNR, the depreciation of the Romanian currency has been of only 0.6% since the start of the year, and an intervention by the Central Bank could be considered only if it exceeds 4% or 5%.  Economic analysts have told Radio Romania that an exchange rate closer to the reality of the Romanian economy would be 4.75 lei for one euro. FLU – Romania is close to declaring a flu epidemic, Health Minister Sorina Pintea has said, explaining that last week the number of people who got the flu virus exceeded the estimated number. If this tendency maintains three weeks in a row we can speak of an epidemic. 19 people have died of flu in Romania this winter, of whom 7 on Friday alone. People are advised to avoid crowded places.